Oh no! Graceful Embroidered Chiffon Dress is currently Out of Stock, please browse other products from relevant category! Jamawar bottoms add a regal look to any outfit and this is the reason that they have been trending in bridal fashion for decades. 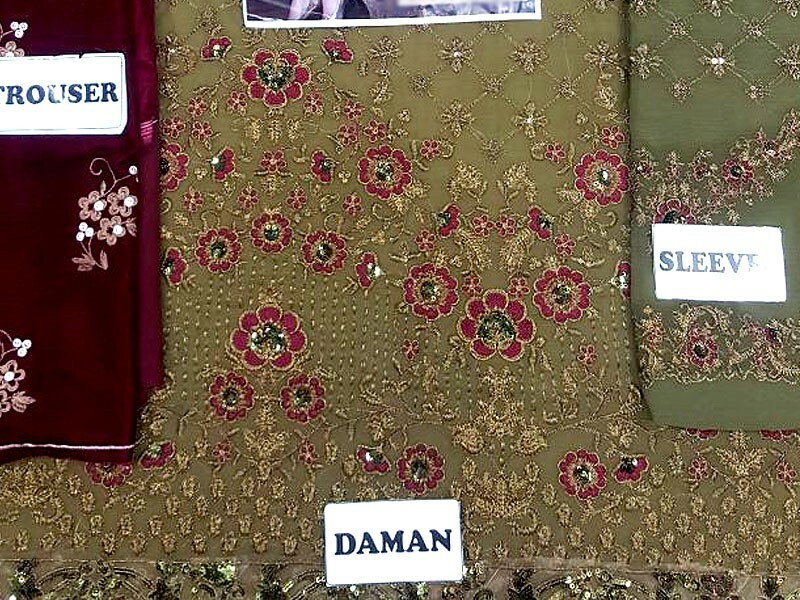 For the last few years, the jamawar fabric has again been introduced in the Pakistani wedding wear, which gives any dress a timeless appeal. 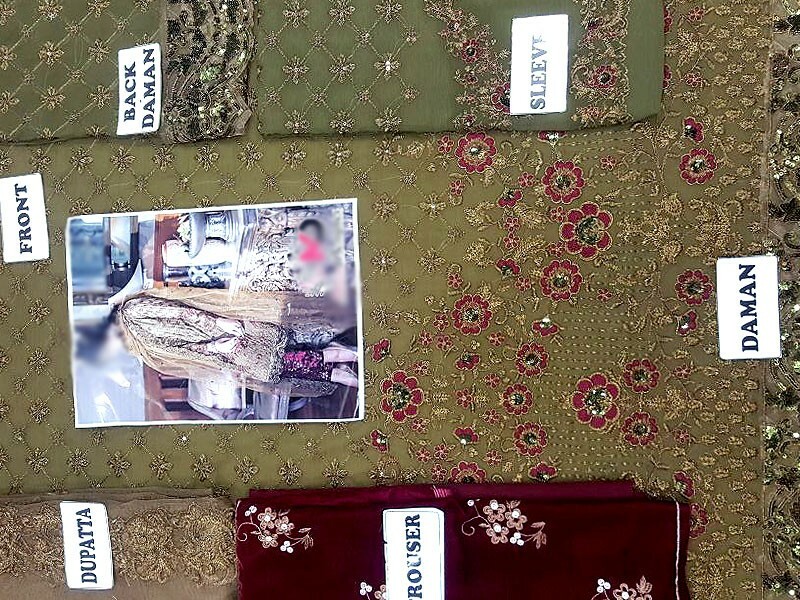 This Embroidered Chiffon Dress with Jamawar Trouser comes with a super pocket-friendly price tag and will be suitable for all types of wedding events, plus formal parties. 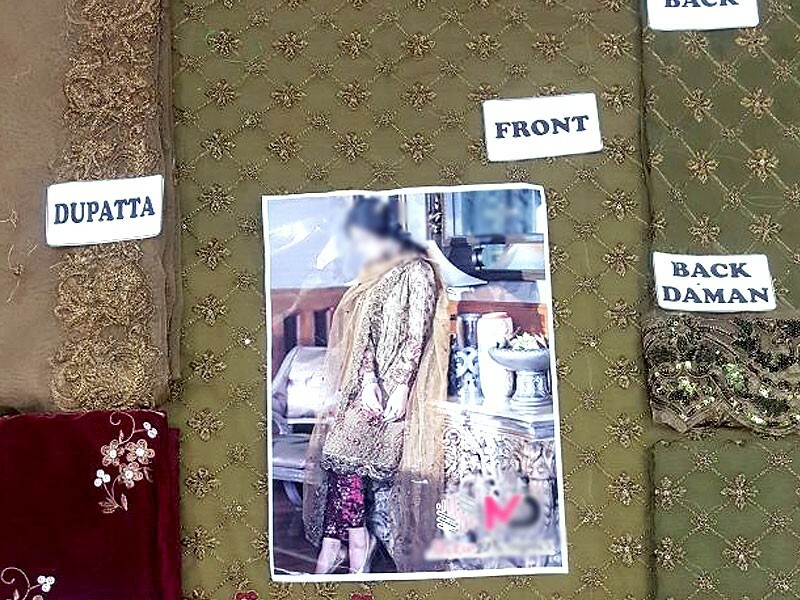 With an overall matching taupe color for the shirt and dupatta, this chiffon suit has a bold red, fine print jamawar trouser that has a sheen, which looks striking. It has a gorgeous tassel for the neckline, with extensive embroidery, featuring sequin details to give a remarkable look. The dupatta has a matching black embroidered paneling as the sleeves to give a complementary finish. Graceful Embroidered Chiffon Dress Price in Pakistan (Code: M010227) offer by PakStyle are just Rs.2995/- instead of Rs.4000/-. 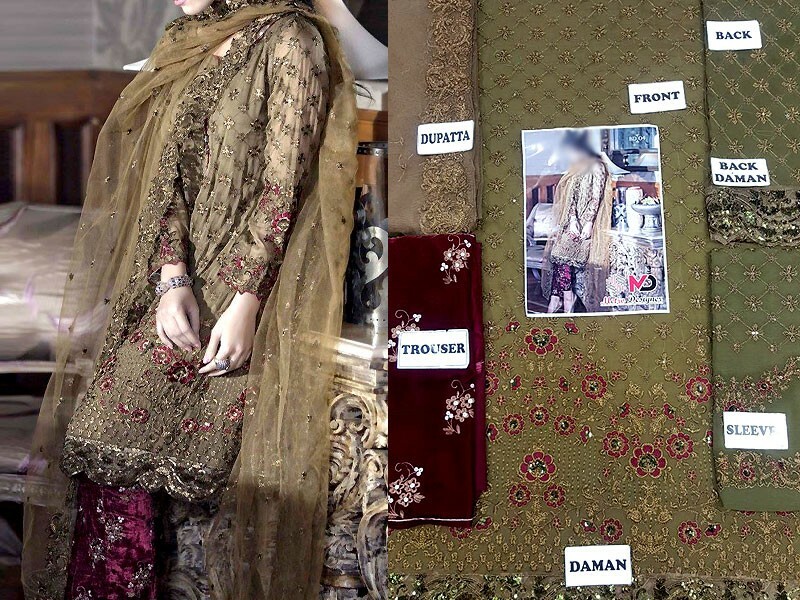 You can also find the price for other related products like Womens Clothing, Womens Dresses, Chiffon Suits in Pakistan at PakStyle.pk!